Do you have a lot of friends or family members abroad that you haven’t called in months, because of the high rates? Having accounts on all these social networks makes keeping in touch with our friends and family easier. But, from time to time, we feel the need of actually talking to the people we love, and listen to their voices without using anything involving an Internet connection. 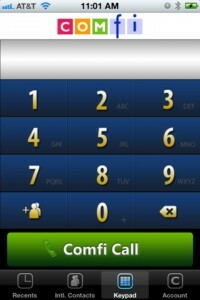 And now, doing this just got cheaper, because now you can use Comfi Call International. 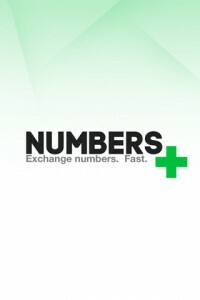 Just download it from the AppStore and start calling your friends abroad, without stressing about the rates. Have you ever doodled something so funny that you wanted to share it with your friends, but gave up on the idea because there were just so many steps to take before being able to post it online? 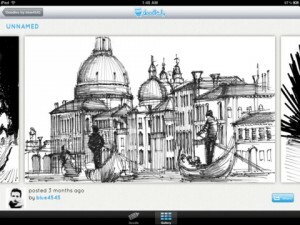 Well, now, you can share your doodles anywhere, anytime, because you can make them on your iPad. Just download Doodle.ly from the AppStore, and let the doodling mania begin! Doodle.ly is a funny app that allows you to doodle on your iPad. From regular pencils to markers, there are 5 different doodling instruments that you can use, plus an eraser. Each one of these instruments comes with its own color panel, so that you know which one to use, depending on what you’re trying to create. Just let your imagination carry you away, and see what masterpiece you can doodle. 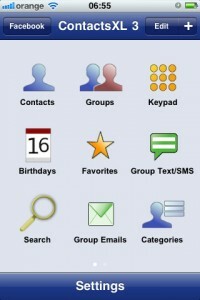 So you think the Contacts app doesn’t have what it takes to satisfy your every needs? Want a faster way to add new contacts and share your info with them? There are various apps for this out there, Bump is my favorite, but Numbers+ wants to take on the myth that adding phone numbers ca be pain-free. If you want to find a suitable replacement for the Contacts app on your iPhone, here’s a quick primer on what to look for. I decided to evaluate Numbers+ based on how fast you can add a new contact, how can you share your own information with the newly created contact and what other options you have when you want to complete the contact entry, such as entering an email, an address, etc. How much time do you waste talking to your friend about your schedule for the next week, struggling to arrange a get together? It’s hard to find a couple of hours to spend with a friend, and even harder when you’re trying to arrange a reunion with all your friends or high school mates. 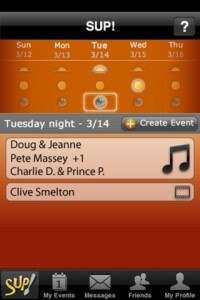 But now, SUP is here to make it more easy for you to arrange a get together with your friends. You just heard the latest gossip. Reach for your phone, call you friend and start gossiping. Before you know it, you have been talking on the phone for half an hour and your friend isn’t even in the same country as you are. The laughter stops, you start worrying about the bill and tell your friend that you have to hang up. But what if you could call and text all your friends without paying a cent for it? Well, with Voypi you can. 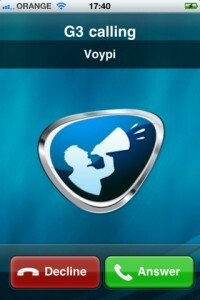 Sure enough, Voypi is entering a market that’s already saturated and with Skype leading the way and Apple soon entering the same market with iMessages in iOS5, it’s not sure whether Voypi will be around that long. Remember when Apple was announcing their 1 billionth app download from the AppStore? It was over a year and a half ago, and now more than 10 billion app downloads later, the 1 billionth app is still strong and our opinion hasn’t changed. Bump is a must-have! For those not familiar with Bump and still using business cards or paper napkins, meet Bump – the iPhone app that makes sharing contact information a breeze. 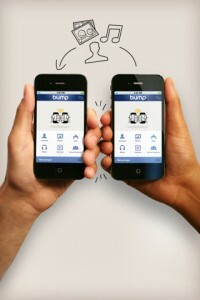 All you need to do is run Bump, a free download, on both devices and simply “bump” the two devices together. The application will recognize the two locations and ask for permission to connect with each other. When granted, you can easily share your contact information on the fly. It should be clear by the end of this short review that ContactsXL for the iPhone is one of the most complete contacts manager applications available on the App Store. It packs a few handy features like contacts sorting and syncing with Facebook, but there’s more than meets the eye. Promoting itself as a full featured contact manager, ContactsXL may very well have all that you need to organize your contacts, plus a few features you didn’t even know you needed. It’s of course up to you if actually do need them. For me, ContactsXL seemed like it wanted to pack in too many things at once, but what saved it was that nearly every feature is fully implemented and they work great together.